Toronto’s Burdifilek revamp Seoul’s Galleria Luxury Hall West with an open concept layout that exalts luxurious finishes. 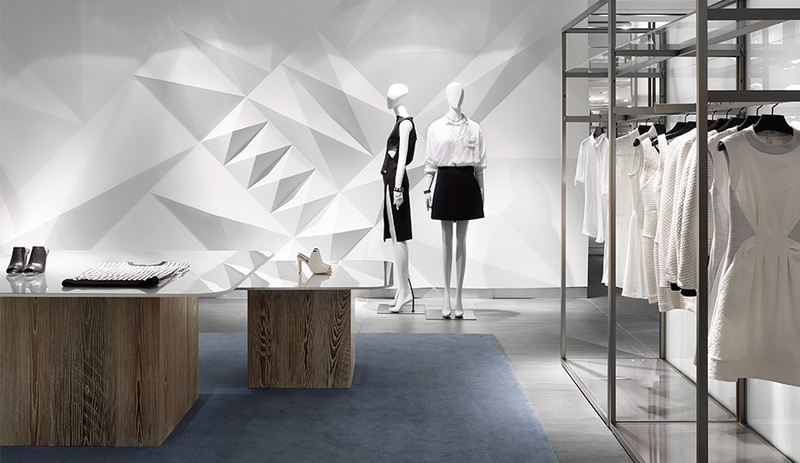 For a retail brand, a phenomenal interior can be a game changer. That is certainly the case at Galleria Luxury Hall West in Seoul, where a bold facelift by Burdifilek proved to be the secret weapon that crushed the competition. In most South Korean malls, the shop-in-shop experience, where each brand occupies its own sovereign turf, still prevails. 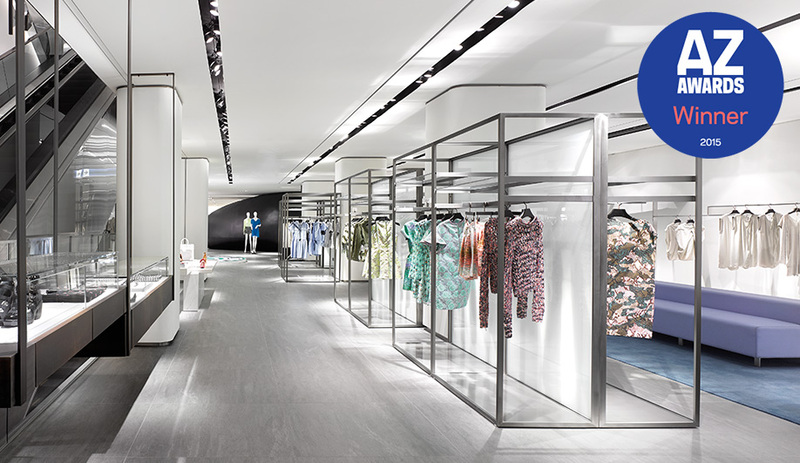 Beyond an LED-illuminated facade by Ben van Berkel, Galleria Luxury Hall West has instead collapsed all barriers to tailor an open plan environment akin to a department store, where customers browse various labels all at once. Fashion houses, you might think, would balk at this arrangement. But with sales up by over 33 percent, business is booming – all because of the bright new interior. With a sharp eye on the details, Burdifilek curated a singular brand identity that unifies 9,926 square metres and four levels, including men’s and women’s departments and a lifestyle shop. Elemental racks in blackened steel showcase frocks by Gareth Pugh and Kenzo, while glass-topped wooden tables display a single Issey Miyake purse, say, or a pair of Stuart Weitzman pumps. Sculptural feats of micro-architecture, such as the black egg halves that house the women’s change rooms behind mirrored doors, create focal points and break up the sprawling layout. 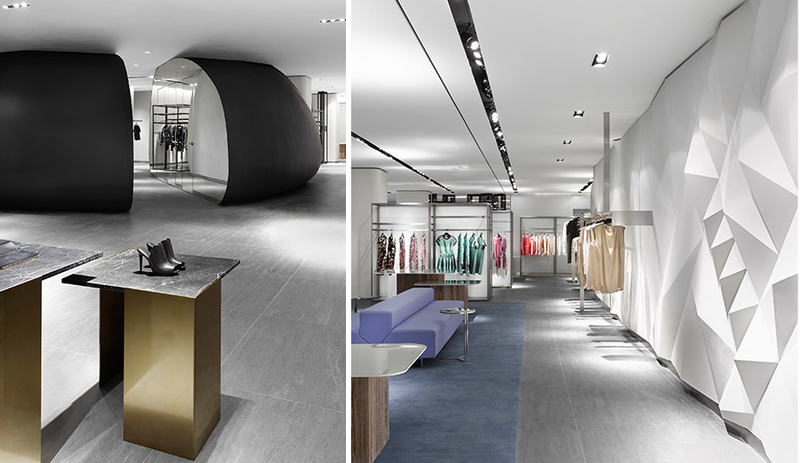 More faceted forms appear on the men’s level, where the shoes are displayed on illuminated shelves carved from two boulder-like blocks. On every surprise-filled floor, minimalist lighting keeps the focus on the carefully selected clothing, accessories and homewares. Retailers, take note: this is how interior design can cloak your brand in major prestige.